D: Could you tell me a bit about you yourself? T: I’m from Hampshire in the UK and I’m 23, I’ve lived here all my life. I studied film and drama in London. D: How did you get into video creating? T: It’s just something I have beendoing for a long time. It started as me and friends messing around filming things we thought were funny, it was the purest kind of making videos. It wasn’t about views or a job or the future potential it was solely about fun – not to make it sound like it’s totally fun now. I still have a blast! There are just a lot more factors to consider nowadays that we didn’t need to back then. D: That’s such a nice way to get a start! What factors play into it now? Does it add much stress? T: There is the occasional stress. Usually that comes from looking at other channels with envy and going “but I’m making stuff in proud of and it only gets X amount of viewers” and then watching others succeed on what I deem to be “not as cool content”. That’s totally biased and is jealous. That’s where the negative comes in, but I don’t focus on that. I try and shift immediately the “It’s okay just keep doing the best you can do” mentality. Worrying about finances are a thing in every job so I guess it’s nothing new. But other than considering that factor, honestly I really like making videos regularly so there’s no stress there. D: It’s good you like it so much, but I guess like with any non-traditional job there’s some extra stresses! What creators are you a fan of personally? if they haven’t all uploaded in a while (in some cases years). D: Great choices, I’m such a huge fan of the PDS too. If you have one, do you have a favourite moment in your YouTube career so far? T: Thats a really hard question. Last April I won a competition called YouTube Next Up, it was incredible to feel recognised by the company for what I was doing and at the same time spending a week alongside the other winners at YouTube headquarters feeling a part of something bigger. Do you have a favourite thing about being an online creator? D: That’s such a healthy look at it!! Speaking of that, do you have any plans for the future? T: At the moment I have a number of series I want to finish by the end of the year. There are certain ideas that have to be done, my list is endless at this point, but I do intend for eventually in maybe 3-5 years I’ll end the channel. I want to end it knowing I’ve gone full circle and everything that could be on there is on there. Who knows maybe I’ll change my mind. D: Sounds like you have quite a solid plan! So in all your Pokemon playing, do you have a favourite game and why? D: Mine is HeartGold for the exact same reasons! As a creator, do you ever struggle because you focus on a relatively niche topic compared to some other YouTubers? Though I could talk about Pokémon forever, so probably not! T: No not at all for that exact reason! D: What are your favourite Pokemon topics to cover? T: I love the lore of the Pokemon world, especially when joining two dots together to answer a question about the lore in a satisfying way. That said, it’s any video where I can make Pokemon feel real. D: That’s so cool, I love that. Everyone has their own personal story of how they discovered Pokemon, what’s your’s? T: Y’know I’m not sure, from when it hit mainstream popularity it’s always been there. I watched the first episode of the show, I got the Pokemon cards and toys, in 1999 got Pokemon Yellow my first game, but it all blurs into one. Pokemon has just always been there. D: Great that it’s been with you for so long. Do you remember your first ever favourite Pokemon? T: Probably Mew, Mew is adorable, mysterious I honestly don’t know what’s not to love. D: What’s your favourite now, if you can choose? T: Definitely Snorlax but I love Togepi too. D: I shouldn’t be bias but you chose the best house. T: The Steve Jobs Movie. D: Finally, do you have a favourite artist/band/musician? A HUGE thank you to Toby for taking the time to chat to me about Pokemon, YouTube and everything else. 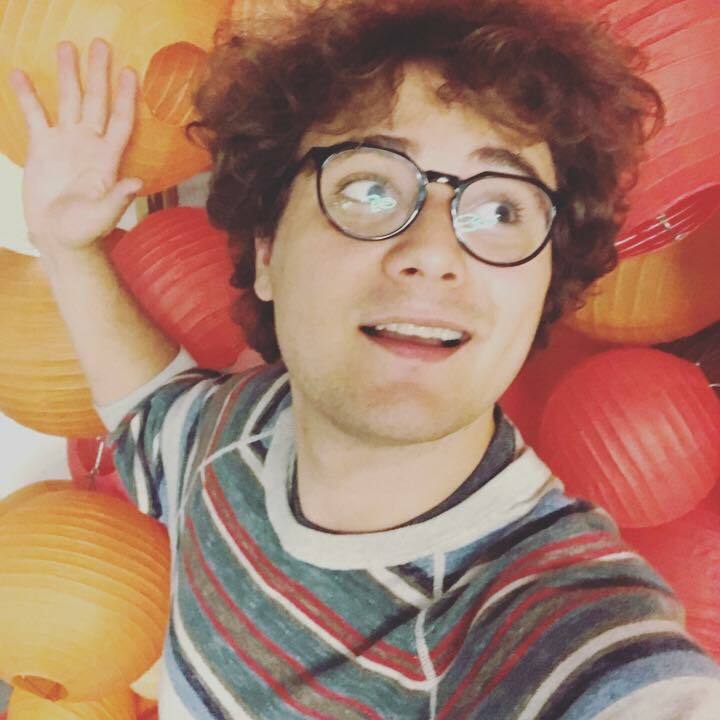 Make sure to subscribe to his channel for unique + inventive Pokemon content, his vlog channel for some extras and to follow him on Twitter + Instagram! For all other interviews with creators, musicians, writers, click here. This is so cool! Toby is one of my favorite YouTubers, it's always fun to read stuff coming from our beloved creators. Of course, he wouldn't be saying stuff we want to know if it weren't for you asking component questions. Well done!